Do you love the metallic trend as much as we do? We are totally swooning over burnished copper and vintage gold! Stunning antique silver and romantic rose gold are also beautiful complementary colors to this year’s hottest wedding hues. Decorate a luxurious wedding with dazzling table runners, shimmering bridesmaids’ dresses, and accessories with all the pretty you’ve ever dreamed of. 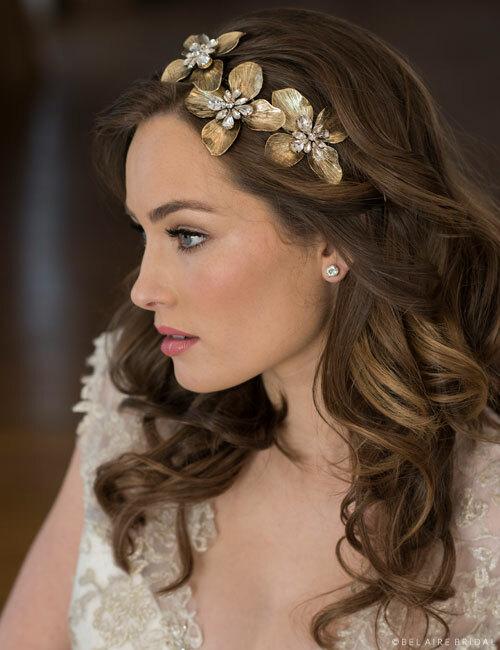 Our top silver and gold picks for 2016 include gorgeous combs, headbands, and halos. Get your sparkle on! Style 6636 blends nature-inspired beauty with traditional elegance. 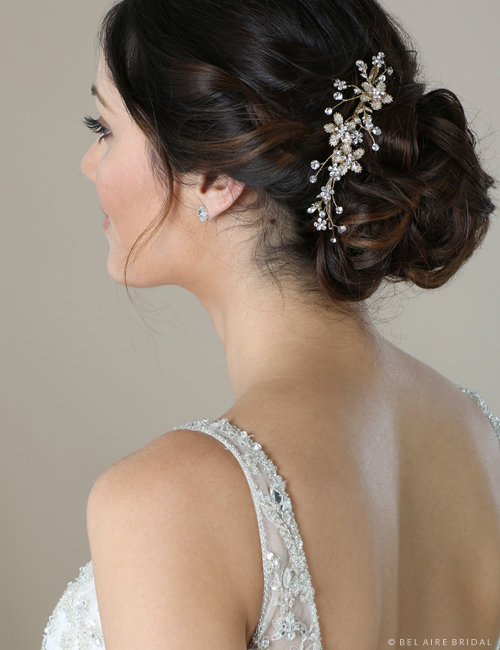 Graceful metallic flowers with sparkling rhinestone sprigs tuck easily into an updo for an incredibly romantic accent. Choose silver or gold to coordinate with your other accessories. 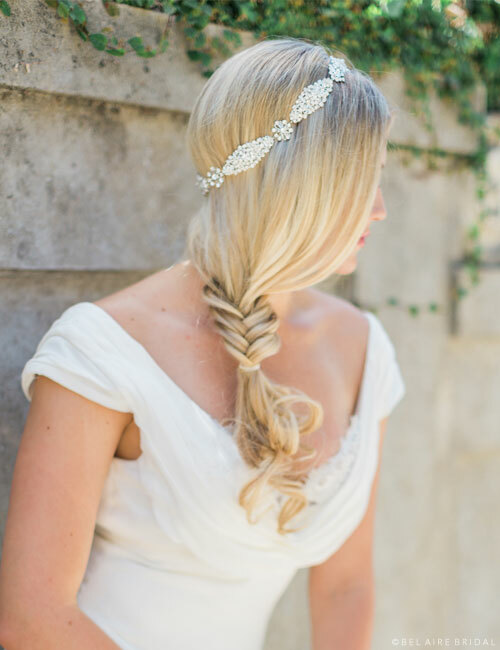 Feel like a fairy-tale princess on your wedding day! 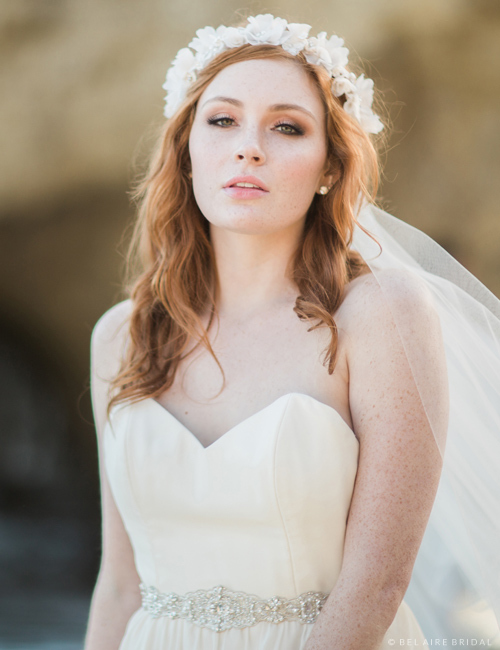 Style 6634 adds autumnal grace to your hairstyle. Shimmering metallic leaves in silver or gold amidst wired rhinestone dewdrops create the perfect accessory for any boho-luxe ensemble. Add leaves or wildflowers into your bouquet to tie together an enchanting look. Style 6696 takes glamour to a whole new level. Sparkling, rhinestone-encrusted flowers and leaves on a metallic filigree design create a beautiful look made just for you. 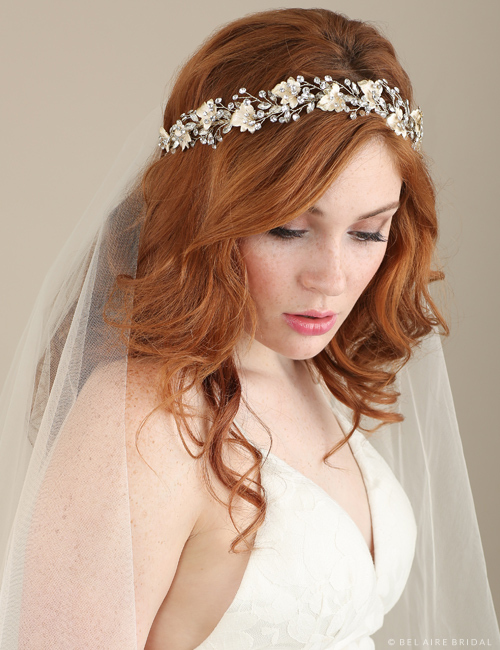 Style this dazzling headband with a complementary beaded edge veil and sparkling drop earrings. Love boho-vintage style? 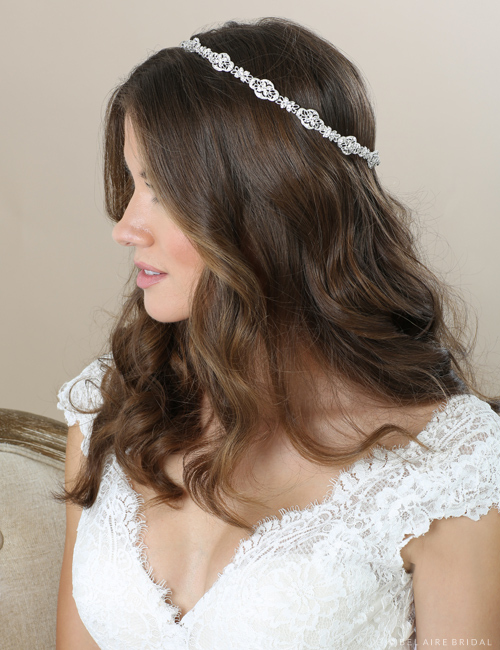 Headband 6687 features dramatic flowers in antique silver or gold with sparkling rhinestone centers. 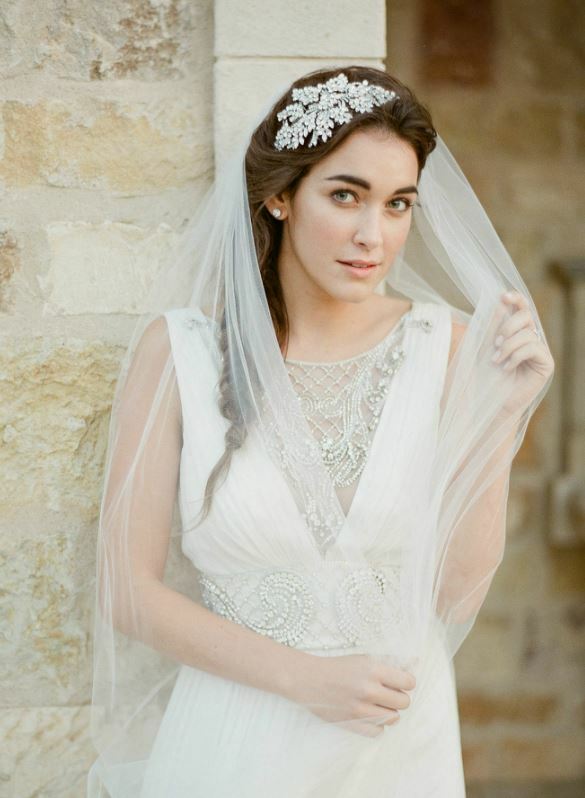 This eye-catching, bold piece looks gorgeous in any season and may be worn with or without a veil. Match gold or rhinestone jewelry to complete a stunning outfit. Incorporate special charm, grace and beauty into your wedding ensemble with style 6579. Now available in both silver and gold, this lovely design of filigree swirls is an elegant finishing touch for any romantic wardrobe. 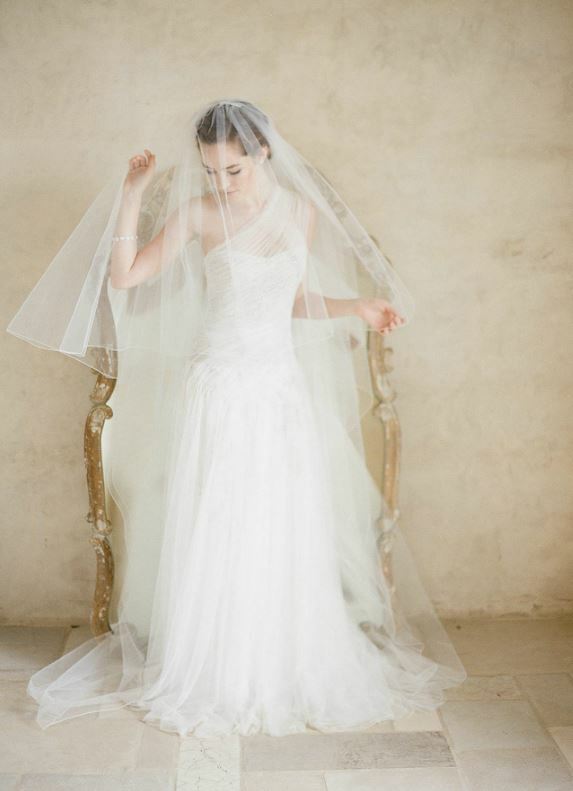 Pair this swoonworthy style with dazzling earrings or a flowing veil. 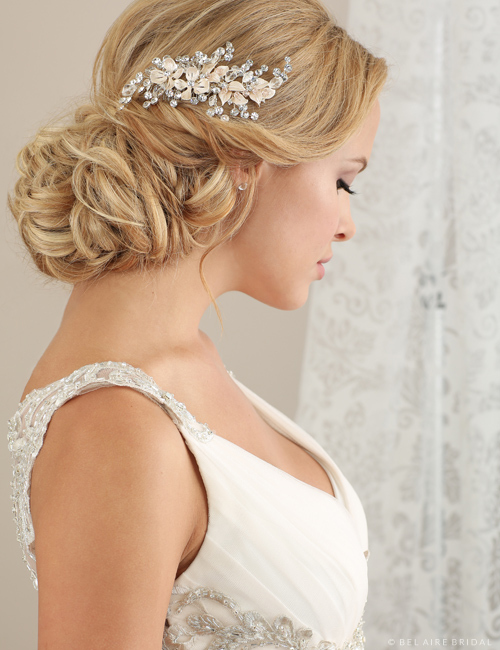 Add luxurious beauty to your locks with style 6577. Delicately wired sprays and sparkling rhinestone flowers on a comb enhance your look with feminine elegance. Pair this little bit of lovely with dainty accessories to perfectly complement a bohemian gown. 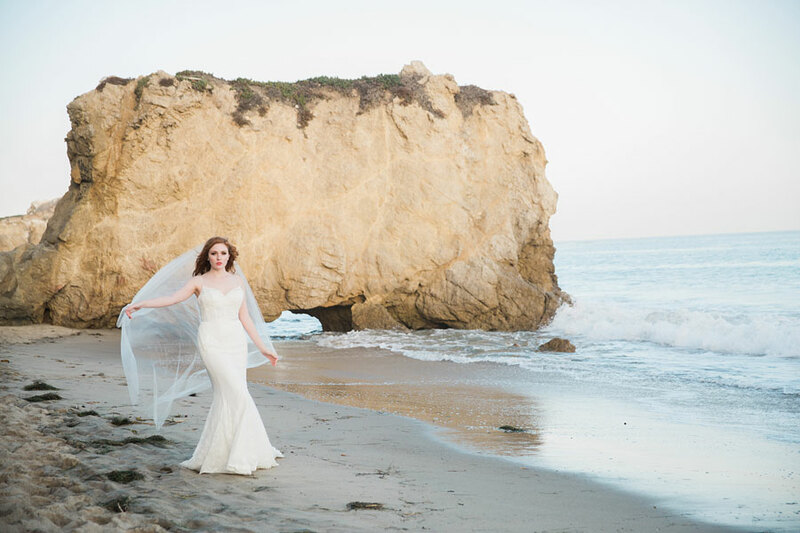 Want to see more sparkly, romantic, and boho-luxe designs? Check out our Fall 2016 Collection and browse through our belts/jewelry pages for ways to personalize your look. Married life is wonderful, isn’t it? Well…the reality is that after planning one of the biggest days of your life, coming home and facing the bills can be a drag. The adjustment to husband and wife can be difficult, especially if you haven’t lived together before. Take a breath and tell yourself it’s ok. Because it is. Even though the engagement and wedding are over, your lovely life together is just beginning! Here are 10 things you can do right now to make your transition a bit easier. 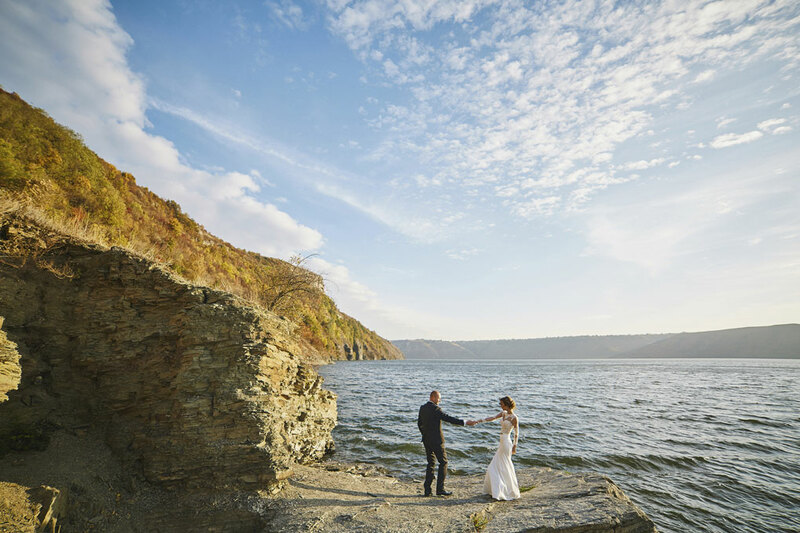 The honeymoon kicks off your married life with an amazing bonding experience. 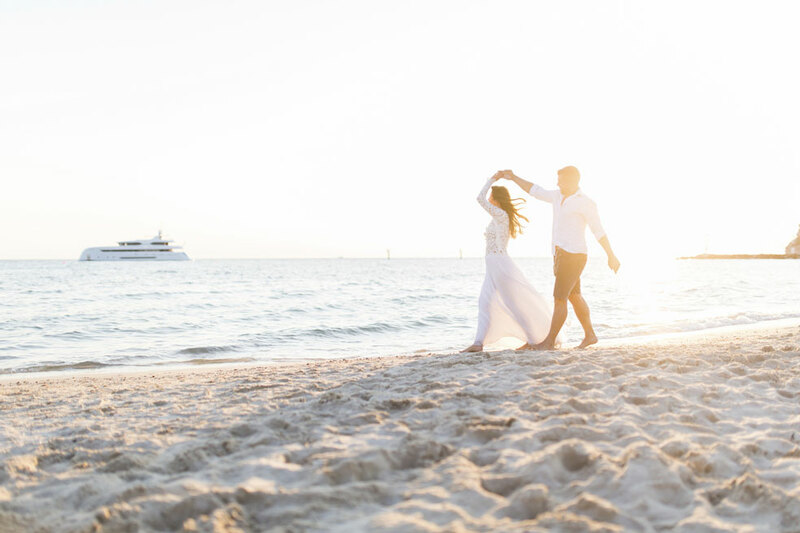 Anniversary trips are similarly important because they give you time away to reflect on the past year and indulge in your love for one another. Even a staycation or weekend excursion will do! 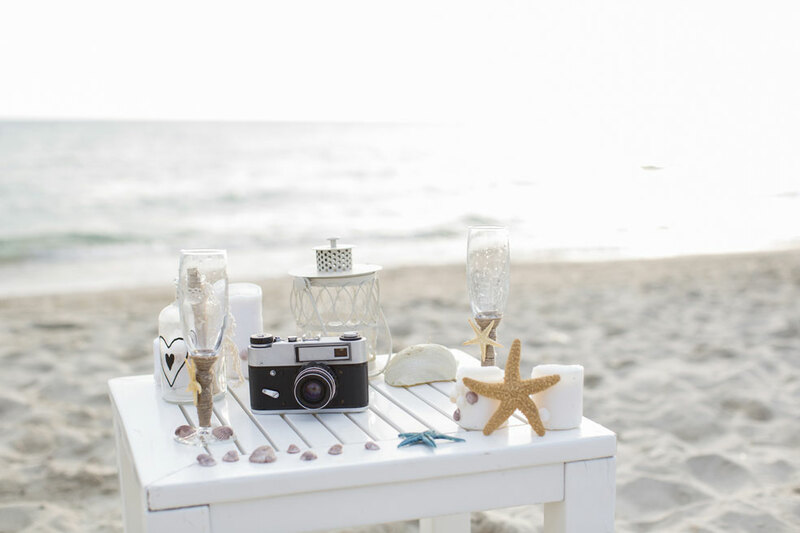 Dream up ideas for your one-year anniversary and beyond, so you’ll have events to look forward to. Speaking of perspective, take time to think seriously about your life. Examine the big picture: your plans, dreams, and desires. In order to maintain a healthy relationship, you should still pursue personal goals. Being married is about building on your individual identity by adding your role as a wife—not substituting one for the other. Feeling bored? Take up an old hobby that you haven’t had time for since before the wedding, or cultivate a new interest! You can get crafty, take up a sport, or volunteer. Sell stuff on Etsy. Write book reviews. Start a knitting circle or take dance lessons. Get involved in blogs and groups, so you’ll have a community of new friends to support your efforts. Now that you’re back and settled in, it’s a good time to connect with friends! Let them know how your honeymoon was, and ask about their recent endeavors. Hanging out with a diverse circle of people will keep you from getting stuck in a rut, so make plans to go out regularly. You can also reach out and reconnect with family you haven’t seen in a while. Let’s be clear: if you experience any physical or emotional abuse, you should immediately seek help. But if you are just frustrated and feel like ranting to your friends and family about petty problems, reconsider your approach. Why bad-mouth the person you want to spend the rest of your life with? Instead, write it down. You can vent without damaging the relationship you’ve built up. Slacking off? 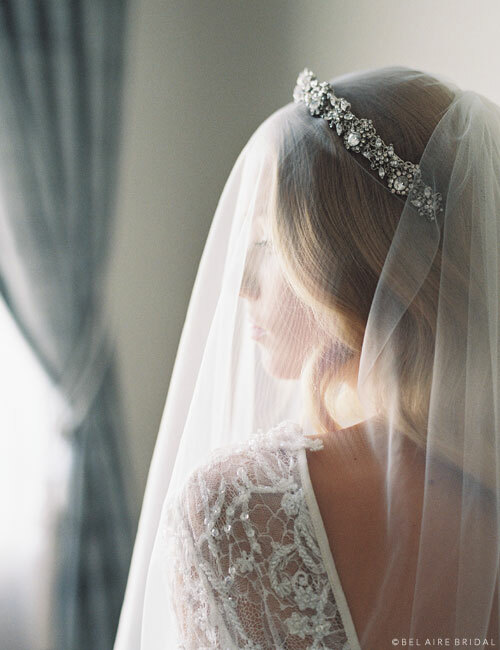 Don’t let the careful beauty/exercise regimen you did before the wedding vanish! Start your marriage off right by being your best, healthiest self. Join a gym or keep a schedule to avoid burnout. You can even mix it up by doing some workouts alone and some with your partner! Both of you will feel better with regular activity. Maybe at this point of your life, you’ve decided you want to save up for a house or a child. With two of you contributing, you hopefully will have more resources to pay off debts, build your savings, and further your educations. Prepare for the future. Figure out where you want to go and what tools you’ll need to get there. If you both love animals and are ready for another commitment, adopting a pet adds fun to your life and gives you practice caretaking. You’ll be amazed at how much a dog or cat will transform your daily routine! Not your style? Try out fish, birds, or other animals. If you already have pets, you can take hikes/walks or sign up for training classes. You’ll both need time alone. But the whole point of being married is that you get to be together, so take advantage of it! Get help and talk to your partner if you’re feeling anxious. While you can’t expect him/her to fix all your issues, you can have a conversation and work together to improve the situation. Communication is your biggest ally. Still struggling? Sometimes seeing a counselor or neutral third party is the best way to figure out what is bothering you and how to move forward. Remember that you are responsible for your own happiness, so use your resources. Treat yourself the way you’d treat someone you love. 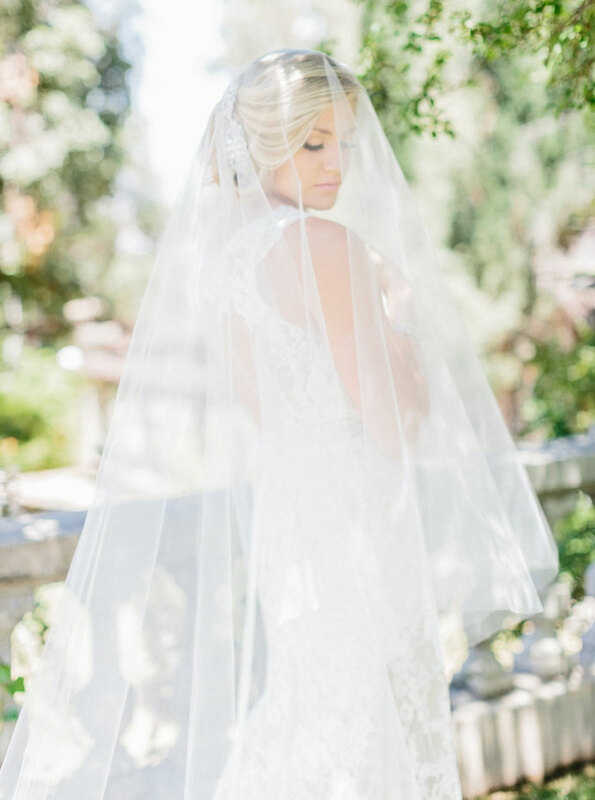 There’s nothing more romantic or dreamy than a stunning cathedral veil. 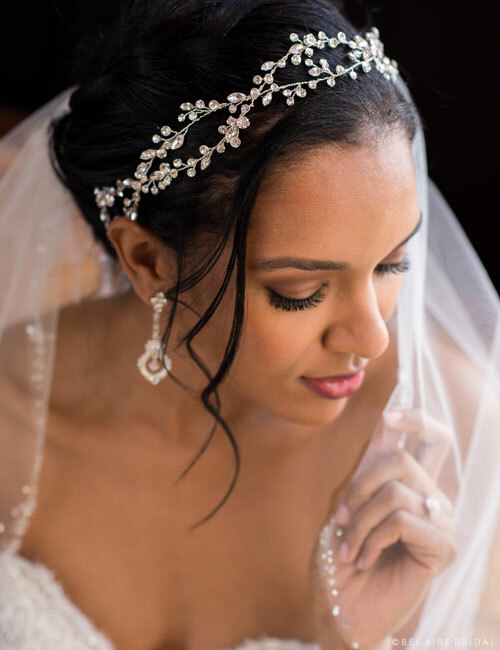 Lace edges lend a feminine, utterly graceful accent to your bridal ensemble—in fact, these beautiful trims have been used in weddings for hundreds of years! While most laces nowadays are machine-embroidered and then stitched on or beaded by hand, the effect is still absolutely gorgeous. 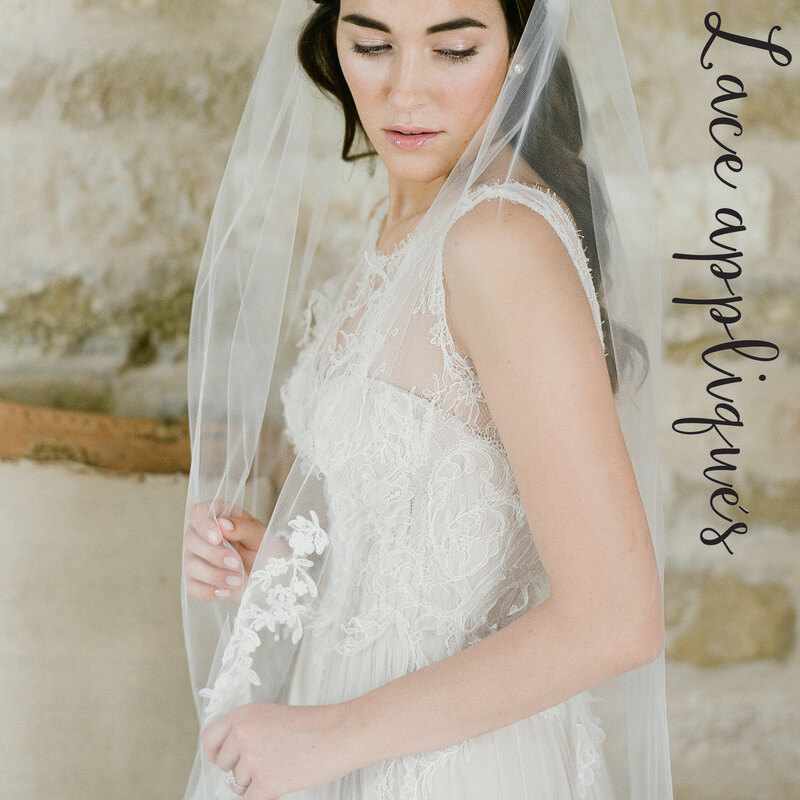 Check out our different types of lace veils and discover the perfect design for your wedding day. 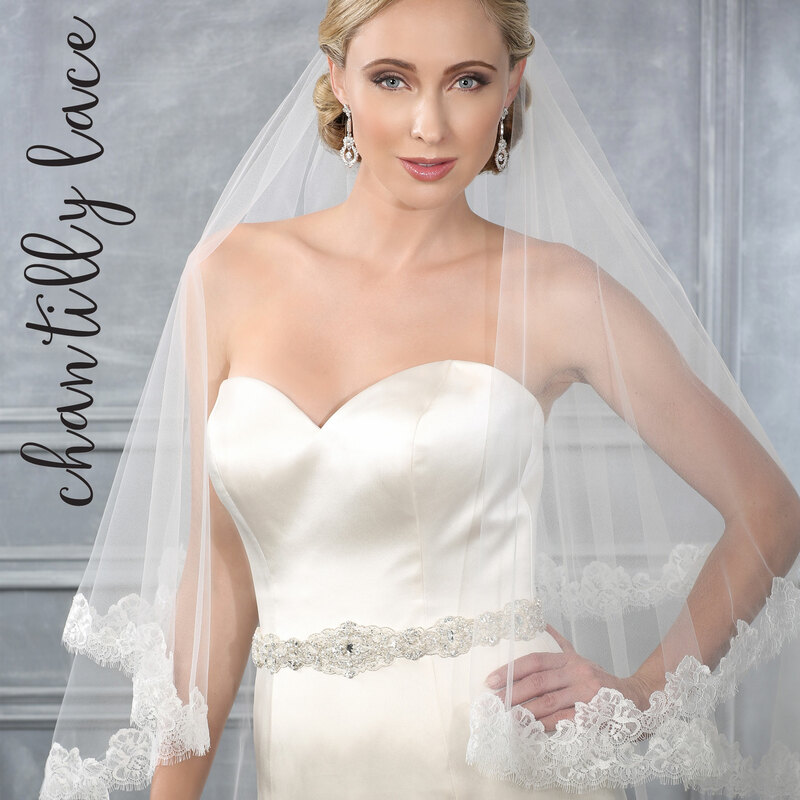 Originally created in France, Chantilly lace is characteristically soft and pairs well with flowing gowns and layered overskirts. 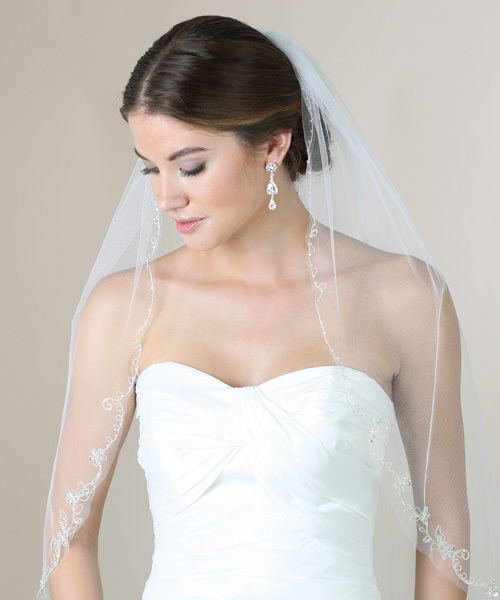 An airy, eyelash lace design flawlessly complements a fairy-tale ensemble. 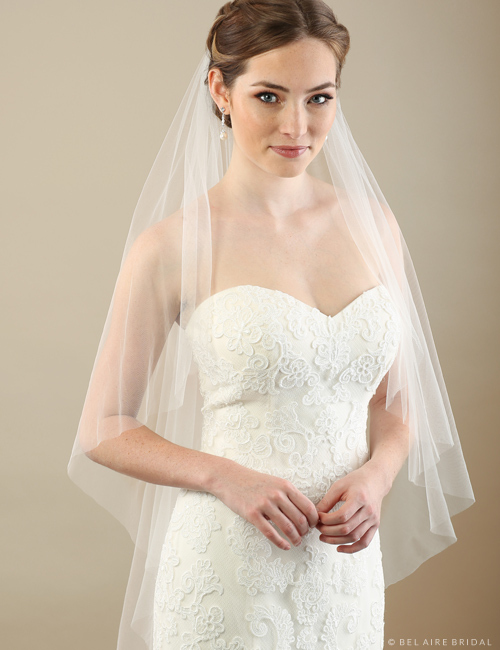 Style V7210 features a beautiful cascading 2-tier waltz length veil edged in soft Chantilly lace. Pair it up with sparkling jewelry to complete a formal look, or go boho-chic and add a floral headpiece for an utterly romantic outfit. Venise lace originated in Italy and is characterized by Baroque floral scrolling patterns. 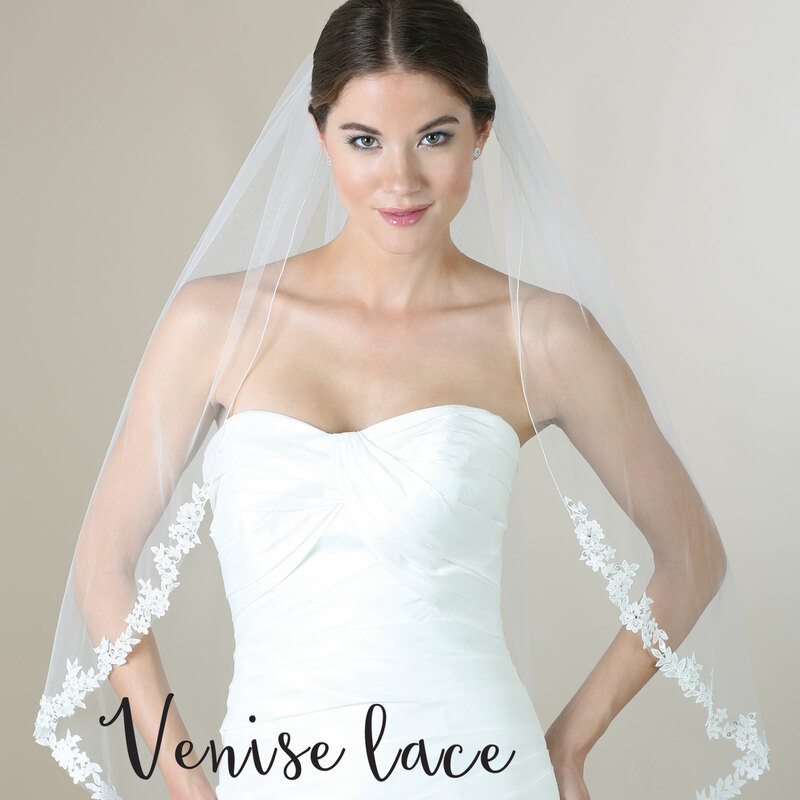 More structured than many other modern laces, Venise flowers make a striking impression and were used on Princess Kate’s veil back in 2011. 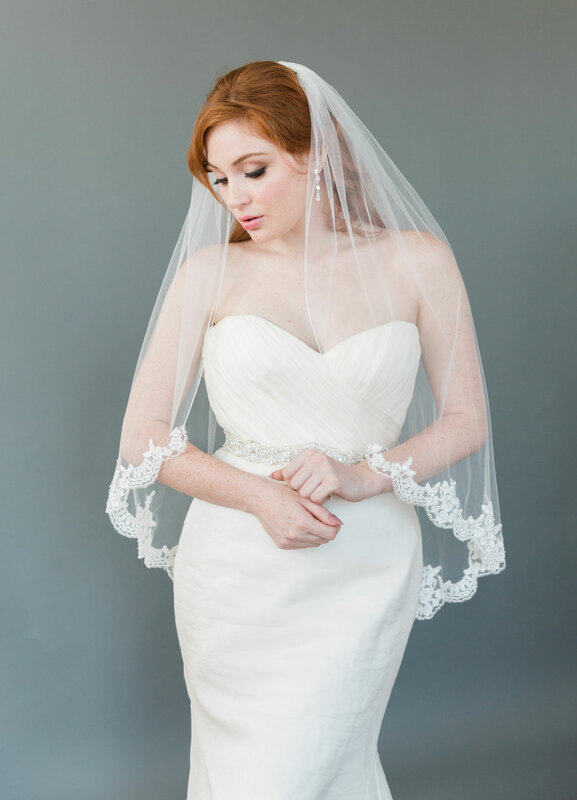 Style V7273 features a simple rolled edge and beautiful, narrow Venise lace flowers along the curve of a flattering fingertip veil. This timeless, elegant look is truly fit for royalty. We’ve all heard the saying, less is more. Scattered lace appliqués add a touch of nature-inspired bridal beauty to your ensemble without an overpowering amount of trim. 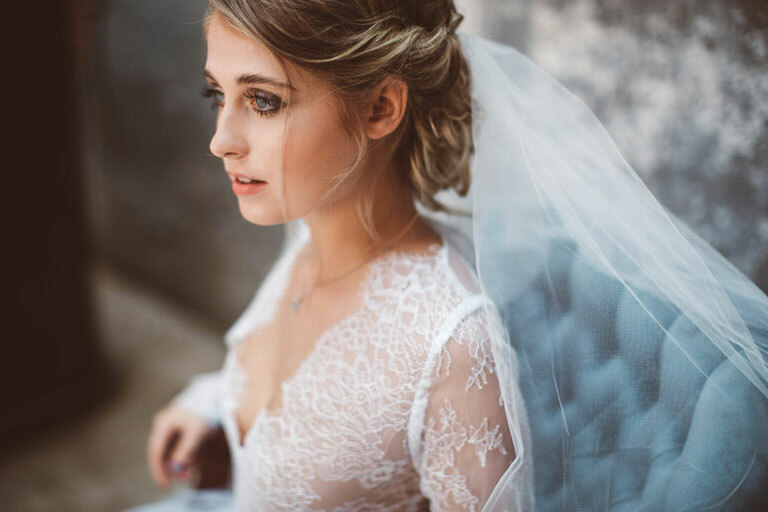 Perfect for a more whimsical look or an outdoor rustic wedding theme, scattered lace beautifully complements a lace gown with subtle sweetness. 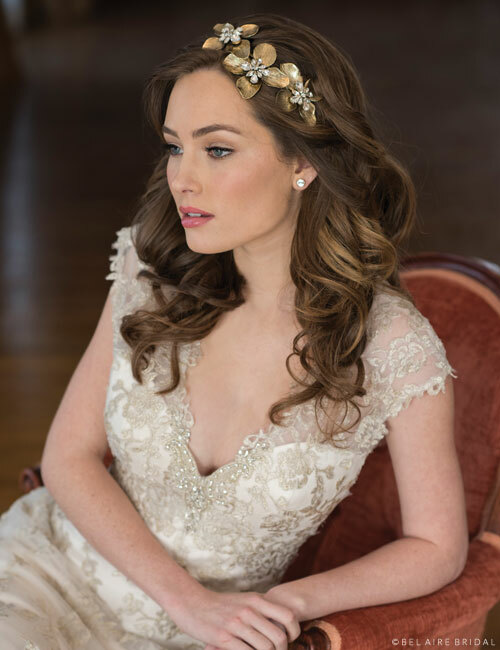 Style V7159 incorporates floral appliqués and a classic cut edge in a waltz length design. 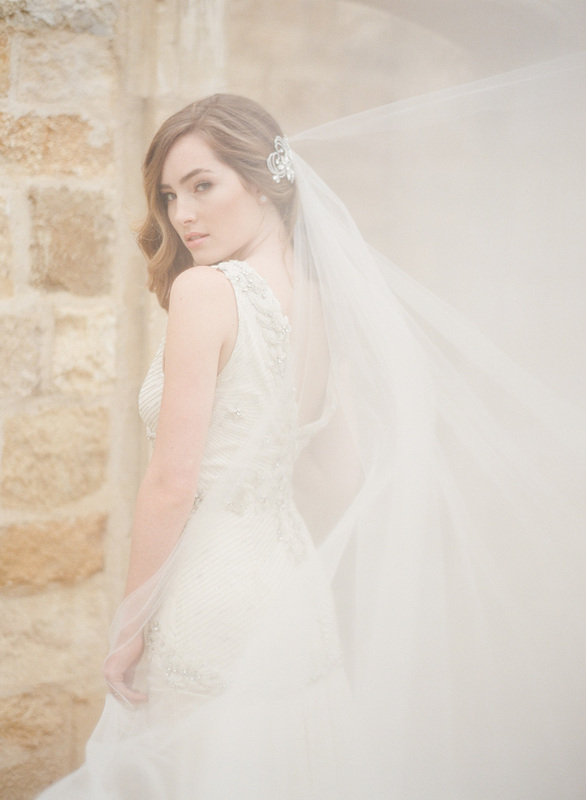 So romantic, we are swooning! 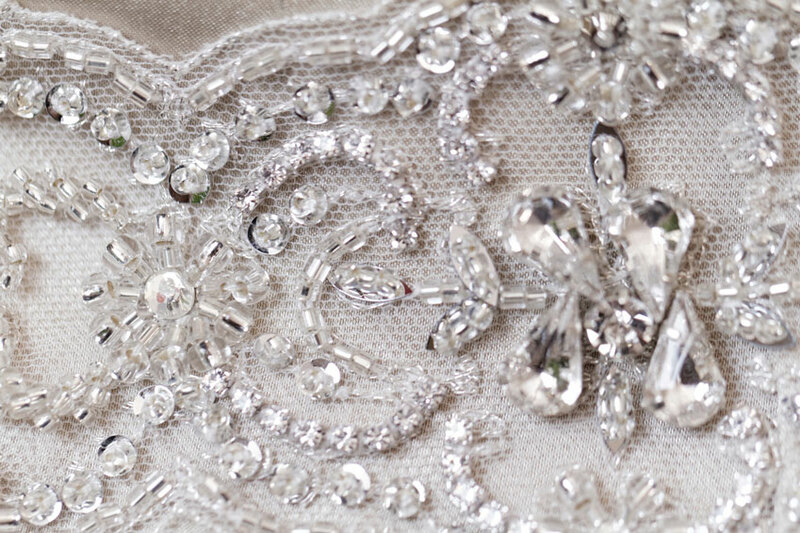 Metallic embroidered lace adds rich, luxurious beauty to any bridal gown. This look can be vintage-inspired or totally modern, depending on how you style it. 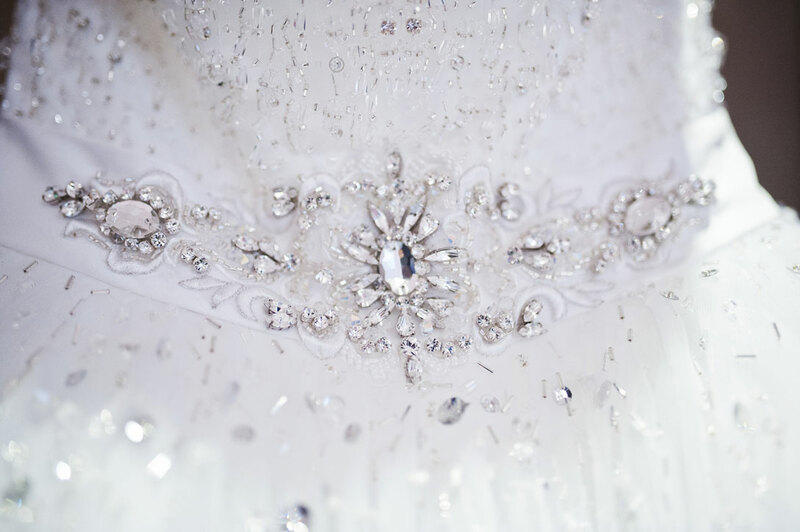 Many designers have created dresses with lavish gold embroidery or stunning silver beadwork. Style V7281 features a metallic rolled edge and beautiful metallic lace appliqués that can be customized in silver or gold. Add accessories such as gold jewelry or a beaded belt to finish off a look that is all you. 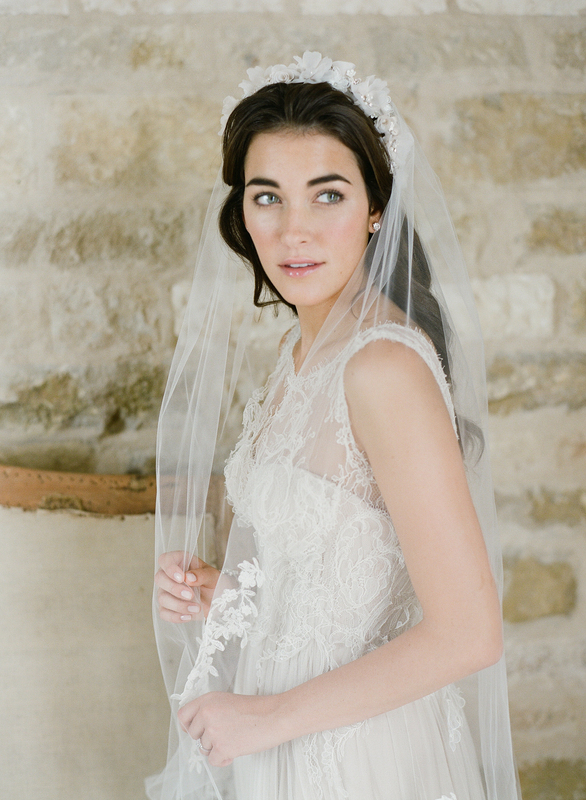 Our best-loved veils feature Alençon lace. 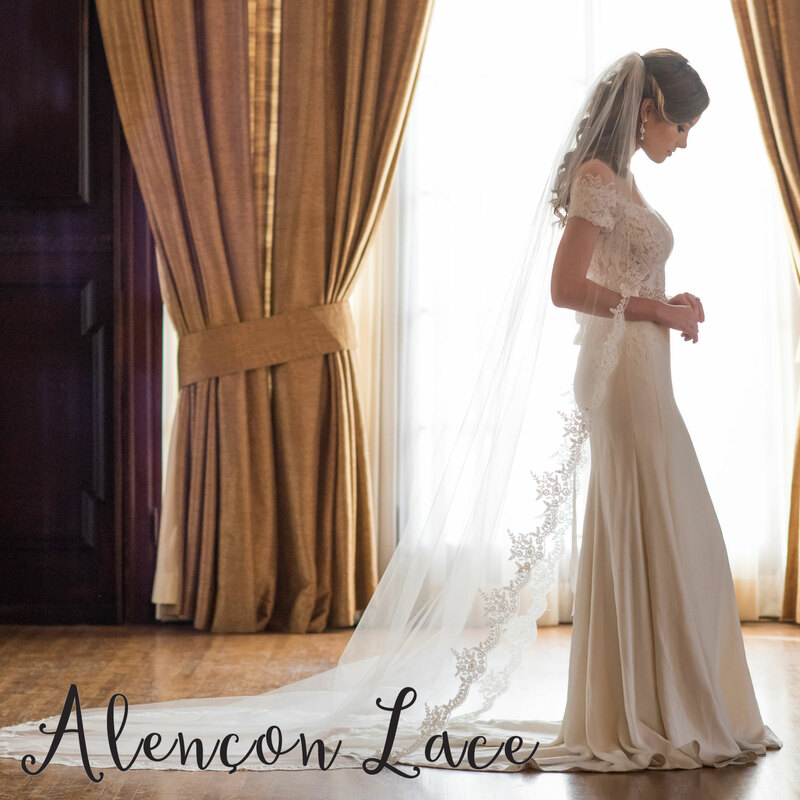 Formal, feminine, and beautifully elegant, Alençon lace was originally created in France and remains a stunning addition to any bridal ensemble. 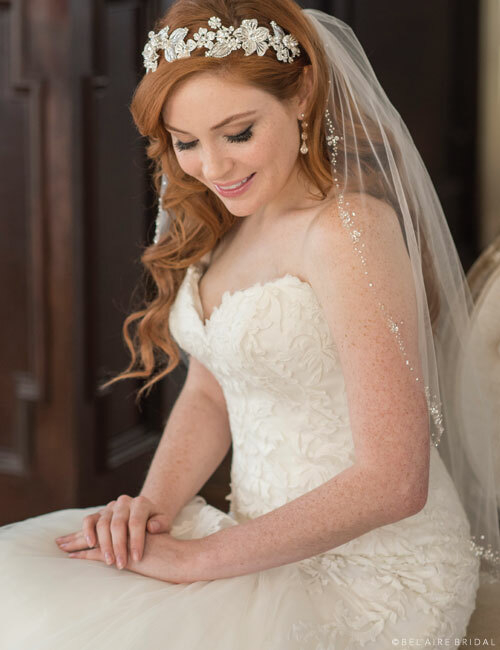 Style V7034CX is our most coveted cathedral veil, featuring a light rolled edge and lavish, eye-catching lace embellishing the sides and bottom curve. 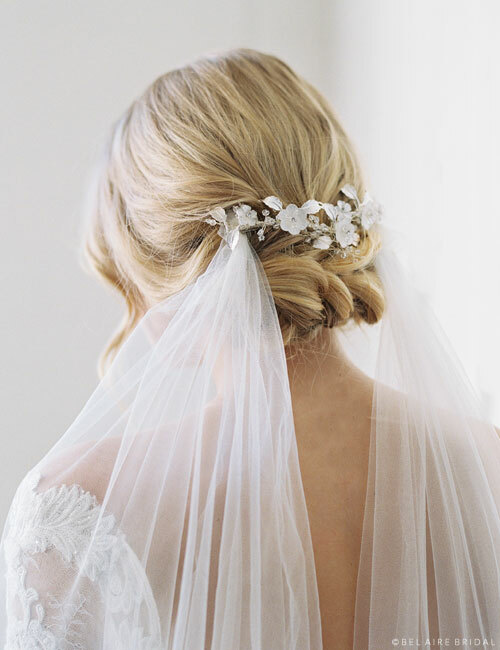 This gorgeous style is perfect for the pure romantic. Want more? 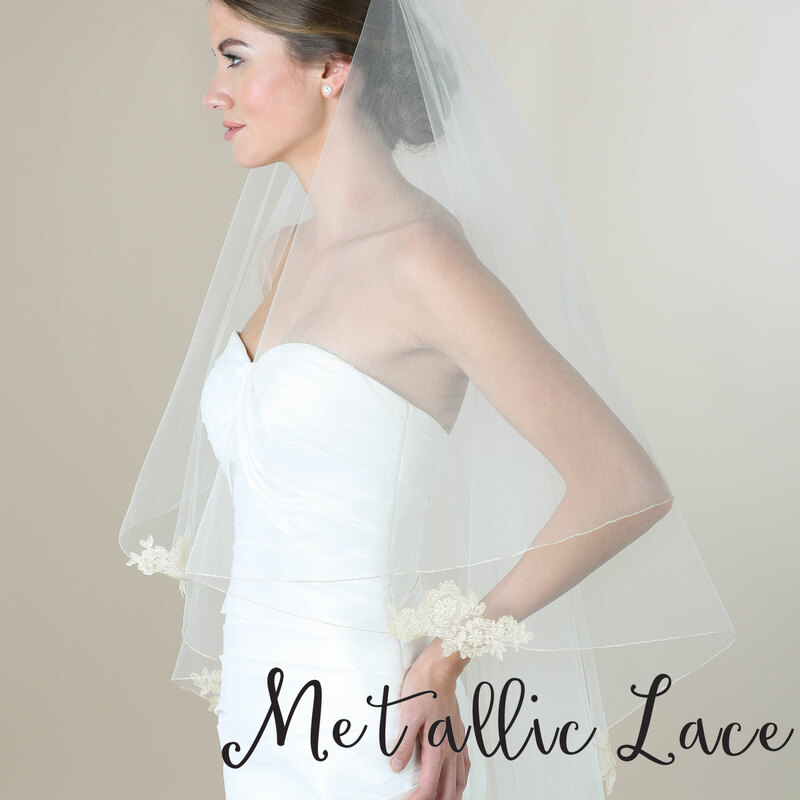 Check out our Lace Veils and Cathedral Veils pages for additional options. 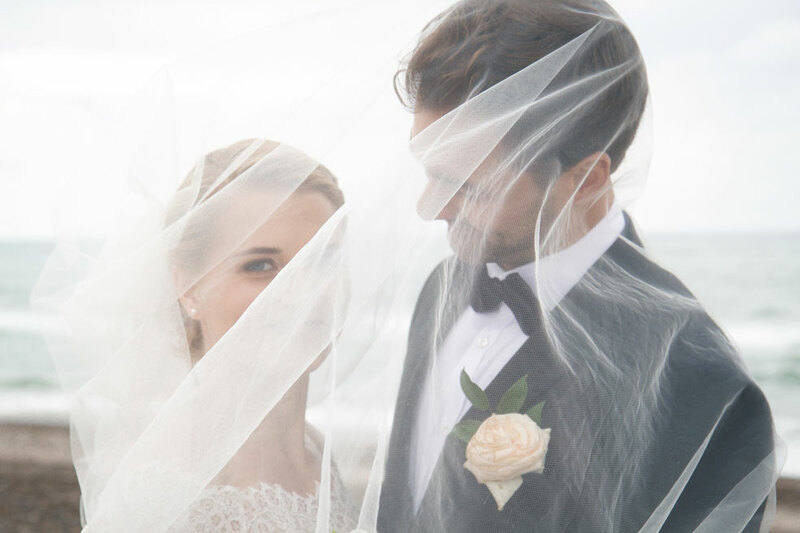 Visit our My Bridal Style pages to discover the perfect look for you!